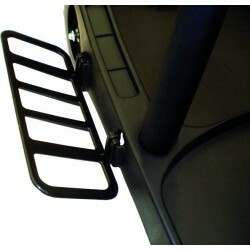 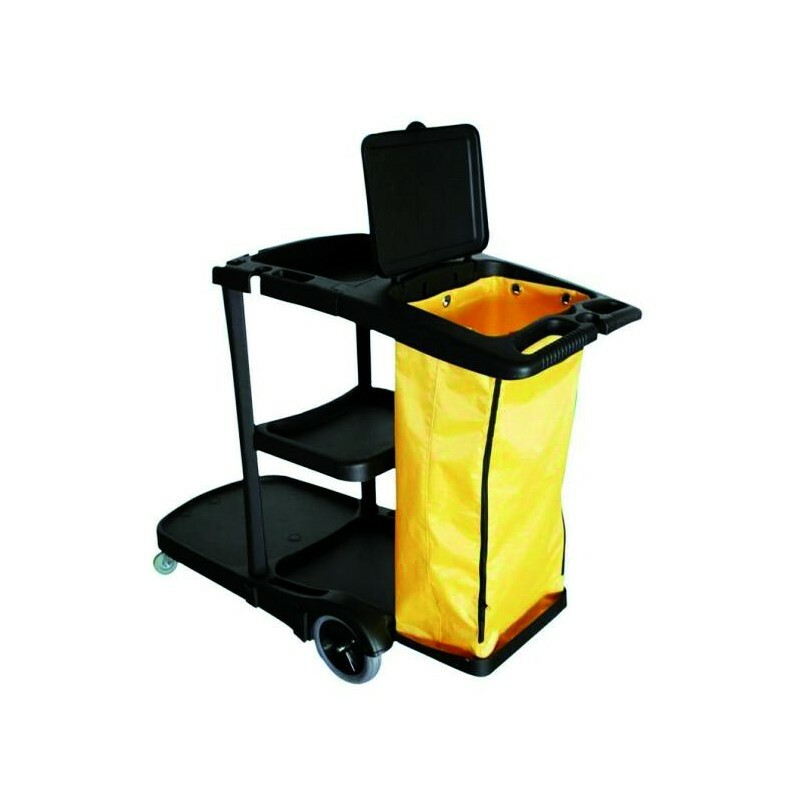 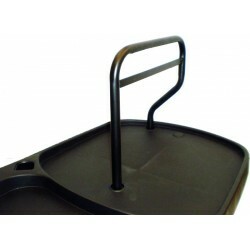 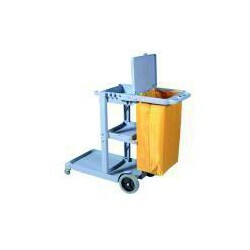 The ECO-VANEX BK-10 cleaning trolley is a hygiene complement manufactured in 100% polypropylene, with 3 empty trays. 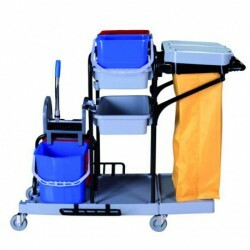 This ECO-VANEX BK-10 cleaning trolley is a useful and practical hygiene complement with the quality of EUROSANEX's products for professional hygiene. 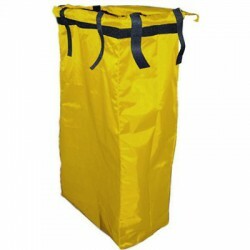 It has a lid and support base for a rear sack, a 120-litre sack with frontal zip included, smooth and accessible finishes to make cleaning inside and outside easier, 2 big, fixed, back tires, 2 small, rotating, front tires, and a moulded handle in the back. 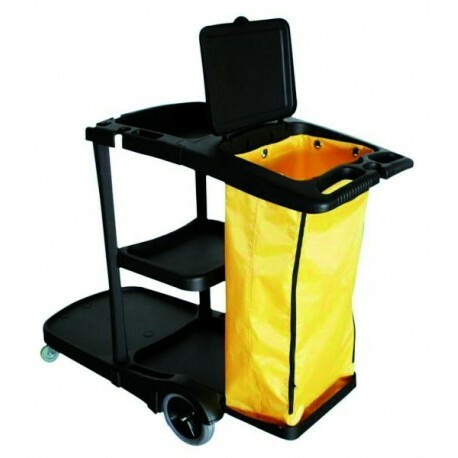 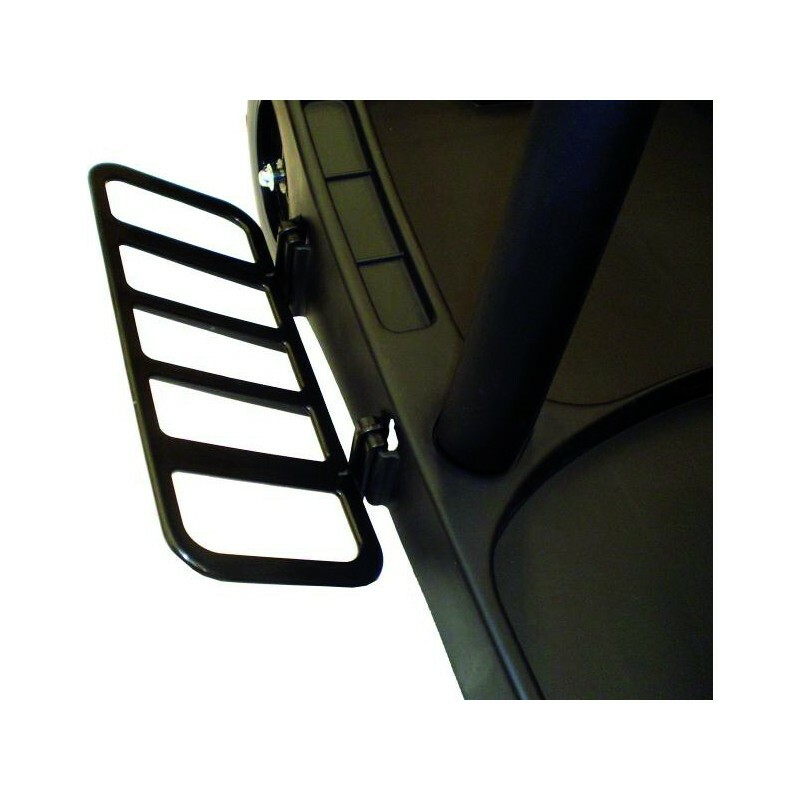 It also has moulded clips for handles and signs, and a large range of optional accesories, like press support, industrial press, 17-litre mopping buckets, 6-litres top buckets, support for mops, brooms, sponge mops, etc. 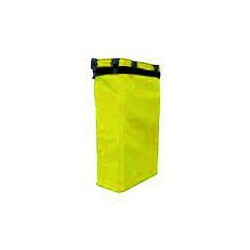 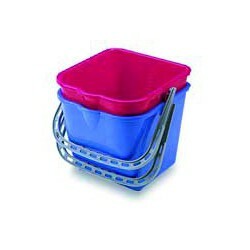 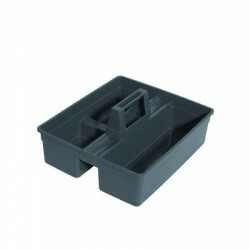 The ECO VANEX 30 and ECO VANEX 20 buckets, and domestic buckets with strainer can be fitted.